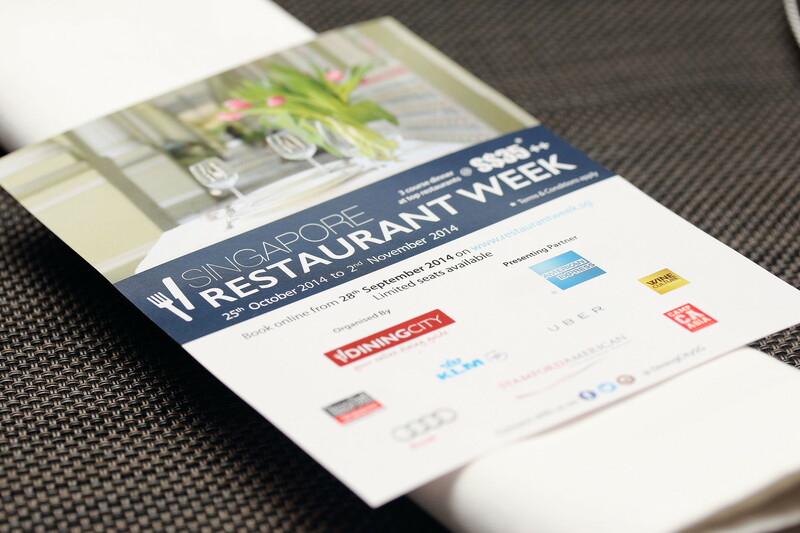 Singapore Restaurant Week is back again with its 9th edition this October from 25 October to 2 November 2014. A new addition this year is the introduction of the Kids Restaurant Week for the very first time on the weekend of 18 and 19 October 2014. Similar to the Singapore Restaurant Week's format, children will dine in style with a host of three course kid's menus specially designed to tantalise their tastebuds. Accompanying adults can taste the Restaurant Week Menu when dining with their children at the participating restaurants one week before the Singapore Restaurant Week or order a la carte. Giving us a glimpse of this year Singapore Restaurant Week, I was hosted by Dining City in a mystery food trail where we visited 3 different restaurants participating this year with each restaurant servicing us a course out of the 3-course menu concept of restaurant week. Our first stop is D'Bell where we started with our appetizer. D'Bell is not foreign to me as I have just recently reviewed the place. 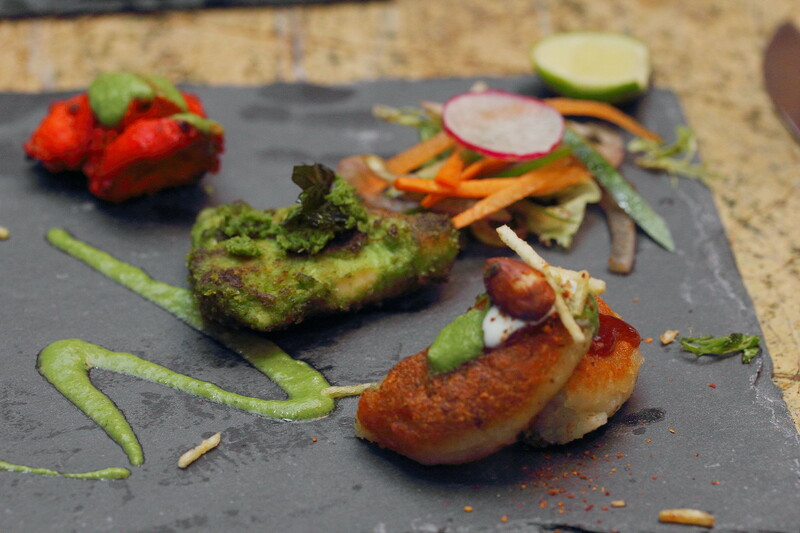 I had the Mixed Platter which considers of Tandoori Chicken Tikka, Tawa Wall Fish and Masala Aloo Tikki. I have enjoyed my previous visit and I am glad that the food is still as good. We were chauffeured in style in Audi to our next stop at Wooloomooloo Steakhouse for our Mains. I was given a choice between Barramundi and Australian Rib Eye. Of course I went of the Australian rib eye since we were at a steakhouse. 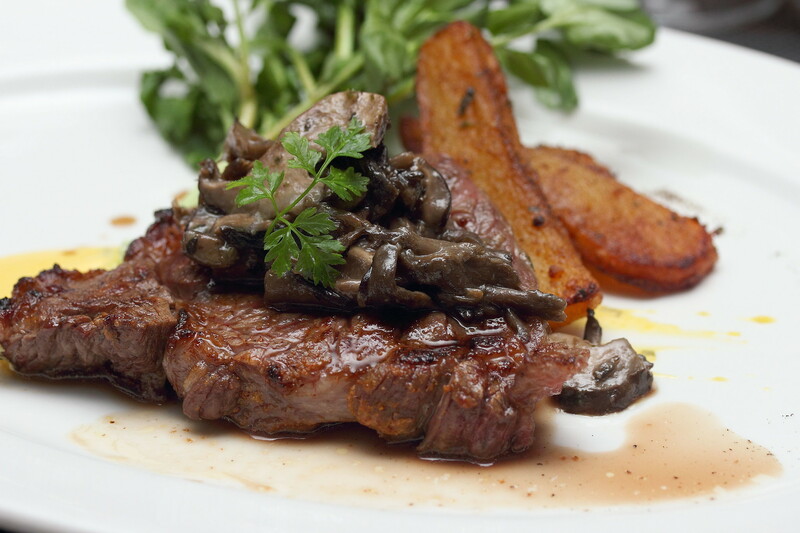 Known for their steak, it definitely lived up to its reputation. The last stop at Olivia Cassivelaun Fancourt or OCF is where I most looked forward to as I have yet to visit the restaurant. The last stop is also the dessert course to wrap up the food trail on a sweet ending. 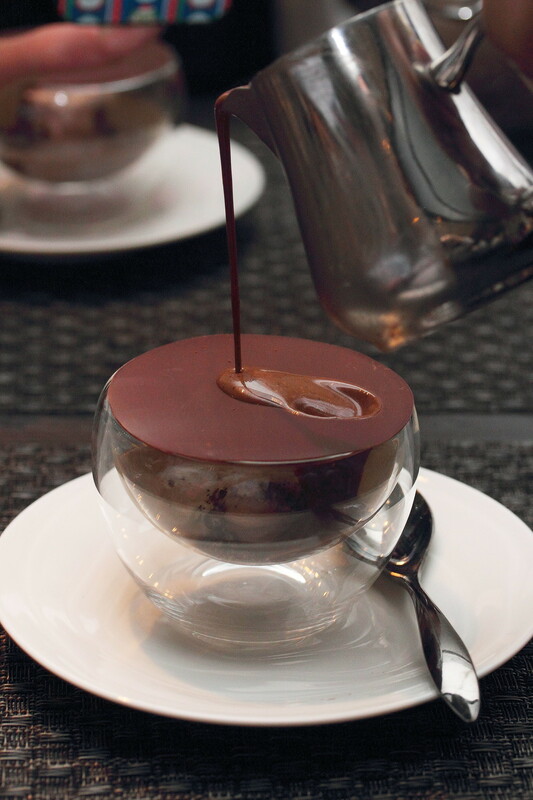 We were servd Le Chocolat et Le Cafe which has several components such as whipped chocolate ganache, coffee crumble, expresso sorbet and hot moka. Love the play of chocolate. It was heavenly. 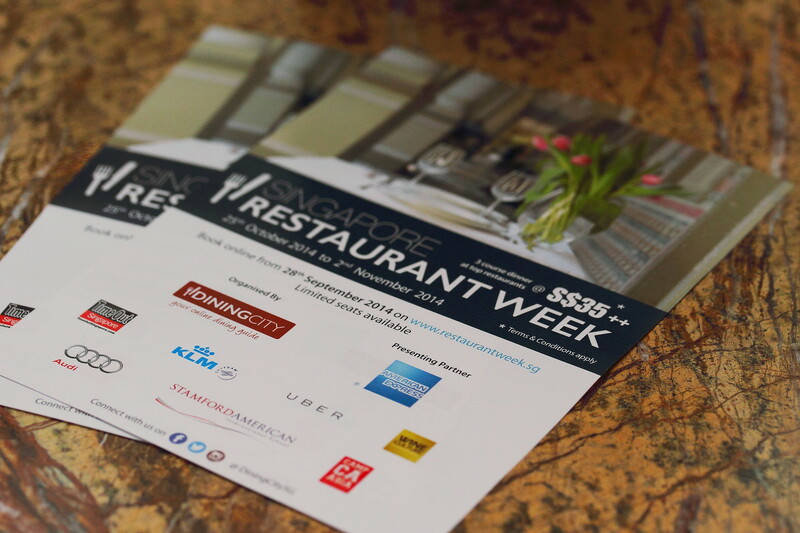 All bookings can be made online at www.restaurantweek.sg, a dedicated website with unique technology for online and real time reservations. Priority bookings will be offered to Amercian Express International Card Members from 22 September 2014. This is applicable to all American Express Cards issued directly by American Express International Inc. in Singapore (excluding American Express Corporate Cards and issued by DBS, UOB, Citibank and EZ-Link Pte Ltd). Subscribers to the Dining City SG newsletter will enjoy advance bookings from 26 September 2014. Booking for public will be open from 27 September 2014. Lol..kids these days are so lucky. Any age limit for the kids? Anyway, I can imagine that the chocolate dessert must be really fantastic!